MOSCOW, February 4. /TASS/. Leader of the LDPR party Vladimir Zhirinovsky plans to nominate his candidature for the presidential election in Russia due in 2018. "In December, LDPR will have its 31st congress," he told reporters. "After the Federation Council announces the presidential election due in March 2018, we shall participate, and most likely I shall be LDPR's candidate." It will be "already the sixth time" as he, possibly, will run for presidency. "It is a record in Europe, nobody in Europe was a presidential candidate for more than five times." "If we had conditions, like in the US, I would have won, like [President Donald Trump]," Zhirinovsky said. 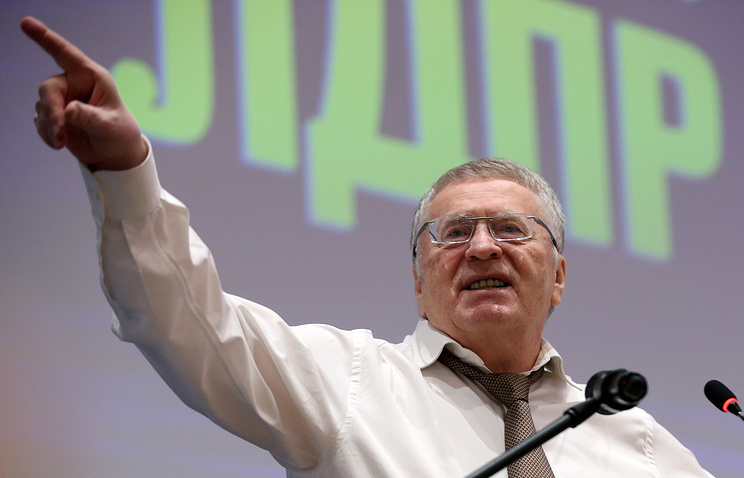 On Saturday, at the 30th congress, the party elected Zhirinovsky the party leader for another term. Russia’s presidential election is due in March, 2018; the election campaign will begin in December, 2017.